THE BIG RETORT: STRAUSS-KAHN: WHO IS HE REALLY? 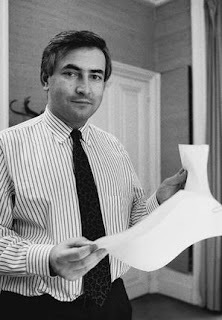 Dominique Strauss-Kahn, who is he? It has been claimed that Dominique Strauss-Kahn (note the hyphenated surname) is the well-to-do son of Gilbert and Jacqueline Strauss-Kahn...? Be that as it may, TheBigRetort can reveal in a recent genealogical trawl of birth records... no such named individuals can be found. It is almost as Mr Strauss-Kahn is sans verifiable famille. No reports appear in a Google press search with regards to this nobodies' boy prior to 1991. Could there be a glitch in the Google time machinery? Is it because his real name is actually Giacomo Girolamo Casanova de Seingalt? TheBigRetort can reveal that he may be neither a Strauss-Kahn nor a Casonova, just simply a "Kahn" - or some other? - in which case the American authorities should be equally interested. An inconsistency in the defendant's pedigree may prove embarrassing to his defence team, and to the French electorate.